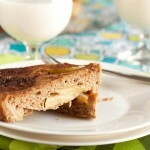 A low sugar cake that resembles apple pie. 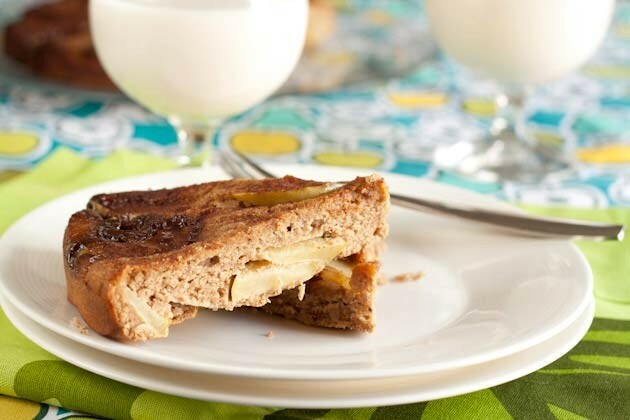 Made with coconut and sorghum flours, surrounded by cinnamon drenched apples. 2 medium organic gala or granny smith apples, cored and sliced – do not peel! Preheat the oven to 375F and line the bottom of a 8-inch springform cake pan with parchment paper. Mix sunflower oil coconut sugar and cinnamon at the bottom of the prepared pan. Spread evenly with fingers to coat and set aside. Drop wet into dry and beat the ingredients until the batter is silky and smooth. If the batter is stiff, add a little more milk to thin. Set aside the slices from one apple and place the remaining slices in the batter. Stir to combine. Place remaining apple slices at the bottom of your prepared pan in the shape of a pinwheel. Scoop the batter into your prepared pan and smooth it out with your hands. Bake for 40-45 minutes, or until toothpick inserted comes out clean. Allow to cool on wire rack for 15 minutes before removing from springform pan and serving.